From August 3 - 17 the Harrods Fine Jewellery Room will be displaying some of the most beautiful and colourful fine jewellery in the world. For the Celebration of High Jewellery exhibition, Harrods has collaborated with the best fine jewellery houses around the globe to assemble a collection of truly stunning and unique pieces, many of which were only debuted during Paris Couture Week in July. 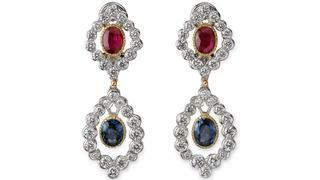 Curated around a theme of colour, brands such as Tiffany & Co., Chopard and Harry Winston have been invited to display their most opulent and vibrant jewels with many opting for a particular focus on exquisitely coloured stones such as rubies and sapphires. Click through to see our favourite designs and visit harrods.com for more information. 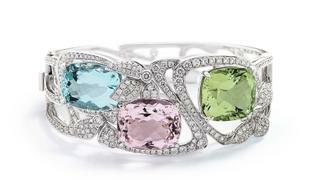 Malham Rock cuff in white gold with diamonds, aquamarine, morganite and heliodor from the Boodles Poetry of Landscape collection. 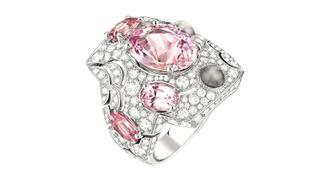 Suzanne ring in white gold set with five Padparadscha pinks sapphires totalling 9.40 carats, two moonstones and 192 brilliant-cut diamonds from the Coco Avant Chanel collection. 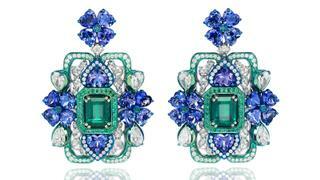 White gold earrings with emeralds, tanzanites and white diamonds from the Chopard Silk Road collection. 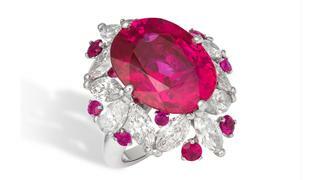 Unique white gold ring set with 16.59 carat oval cut ruby, marquise and pear-cut diamonds and round cut rubies by David Morris. 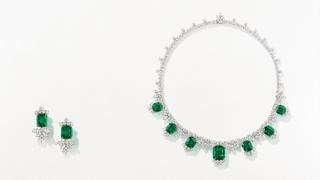 Necklace and earrings in platinum with diamonds and emeralds by Harry Winston. 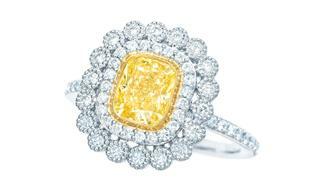 Enchant ring in platinum with yellow and white diamonds by Tiffany & Co.